The county of San Diego is a very dog friendly community. Dog owners take their dogs everywhere, we see them on public transportation, in the elevators, out walking on the streets, at airports, retail stores, restaurants, parks, and beaches. Unlike most states, California does not classify dogs as vicious based on the breed of the dog, however it does acknowledge the fact that dogs may be potentially dangerous. In order to protect the general public from any dog attacks, the California legislators have enacted a dog bite statute under Civil Code section 3342. Pursuant to California Civil Code 3342(a), dog owners are liable for the damages suffered by a person who is bitten by a dog while in a public place or legally in a private place, including the property of the dog owner, regardless of the dog’s prior viciousness or the owner’s knowledge of the dog’s viciousness. In effect, any dog owner in California is liable for damages caused by a dog bite to a person who was bitten in a public area or was legally present and bitten in a private place. If you are a victim of a dog bite it does not matter if you are the first person that dog has bitten or if that same dog has bitten others before. California’s dog bite statute is clear, the owner of the dog is liable regardless if he or she had reason to know about the dog’s vicious tendency to bite people. At the San Diego Injury Law Office we are a reputable San Diego personal injury firm, our experienced dog bite attorneys are ready to meet with you to evaluate the basis of your claim for free and provide you with the best offense by reviewing the specific facts of your case to identify all of the damages you are entitled to recover. Contact us now at (619) 343-2992 to discuss the specific remedies that are available to your dog bite case! A public area is one in which the premises are held open to everyone. A dog owner is liable to any victim of a dog bite who is bitten in a public location. If you are a victim of a dog bite and were on public property when the dog bite occurred, you are entitled to receive damages from the dog owner. Whereas if the dog bite occurs while on private property, a dog owner will only be liable to the victim if the property owner has given that person consent to be on the property or the person is on the property for a lawful purpose. Consent can be express or implied and is the act of voluntarily inviting someone onto their property. Express consent is satisfied by the property owner’s verbal or physical invitation to let you onto the property. Implied consent generally exists if it is customary for the person to be on the property. If you are a social guest at someone’s home and there is a dog on the premises who bites you, the owner of that dog will be liable to you. This is also true if you are a guest on private property employed by a company that provides services at someone’s home such as delivery services, landscaping, and independent contractors. To be lawfully present on the private property of another, you must be on the property to perform a duty imposed by law. If you are a police officer, fireman or other first responder who was bitten by a dog while on official duty on private property, the dog owner is liable to you. Whether on public or private property, if you are a victim of a dog bite it is crucial that you contact a knowledgeable dog bite personal injury attorney that has a vast understanding of the elements required to prove your dog bite case. Call the San Diego Injury Law Office today so that we may review the particular circumstances of your case to identify the dog that caused the injury, the dog owner as the defending party, demonstrate that the attack occurred on public property or private property and you were lawfully present at the time of the attack. By ensuring that your dog bite claim satisfies all of these requirements we will be in a better position to inform you of all the legal remedies that are available to you. It is important to note that California’s dog bite statute established an exception for victims of dog bites who either are or are suspected of being a party to or participant in the behavior that prompts the use of a dog by the police or military officials. Pursuant to California Civil Code section 3342(b) nothing in this section shall authorize the bringing of a legal action against any governmental agency using a dog in military or police work if the dog bite occurred while the dog was defending itself from an annoying, harassing, or provoking act or assisting an agency employee. Official government operations include criminal investigations, the execution of a warrant, the apprehension of a suspect by an employee with reasonable suspicion of criminal activity, and the defense of a peace officer or another person. However, for this law enforcement exception to apply, the governmental agency using a dog in military or police operations must have adopted a written policy on the required and appropriate use of a dog. Do not be discouraged by this exception, give us a call now so that we may review your entire claim. At the San Diego Injury Law Office we understand that you have been through a difficult experience and are here to inform you of your rights, if you are eligible for money damages for your dog bite, we will fight and will stop at nothing until we make you whole again! The first step that a victim of a dog bite must take is to take pictures of the location where the dog bite occurred, all visible injuries and any physical damage done to your property immediately following the attack. The second step is to identify the dog that caused your injury. Once you know what dog bit you, you will be able to identify the dog owner and provide our personal injury firm with his or her contact information for us to begin working on your claim. This is important because an injury alone is insufficient to win a dog bite claim, we must be able to show who was responsible for the dog for liability under California’s dog bite statute to attach. The third step you must take is to actually report the attack to local law enforcement or local animal control. You will be required to identify the type of dog, the location where the attack occurred, the owner of the dog and his or her contact information. The fourth step is to contact an urgent care center to seek medical treatment for pain and to prevent an infection. The fifth and final step is to contact the San Diego Injury Law Office. Our skilled dog bite attorneys will give you the peace of mind that you deserve by handling every aspect of your claim from beginning to end. We will preserve the evidence of the attack, contact any potential witnesses, communication with the dog owner on your behalf, obtain your medical records, forward all bills incurred by the attack to the dog owner’s insurance company and negotiating with them on your behalf until we obtain the full compensation you deserve! A statute of limitations is the legal deadline for a personal injury claim, the statute of limitations generally begins to run on the day that the injury occurred. In California, the statute of limitations for a victim of a dog bite case to file a lawsuit is two years from the date of injury caused by the dog bite. This means that upon the expiration of the two years allowed by statute of limitations the plaintiff of a dog bite case will be barred from bringing a lawsuit against the dog owner. However, there is an exception for victims of dog bites who are under the legal age of 18 years old. In California, children who are victims of dog bites receive an extension to the statute of limitation, they have two years after their 18th birthday to file a personal injury claim. Whether you are a child or an adult who has been the victim of a dog bite, you must be aware of the statute of limitations to keep your claim from being summarily rejected. 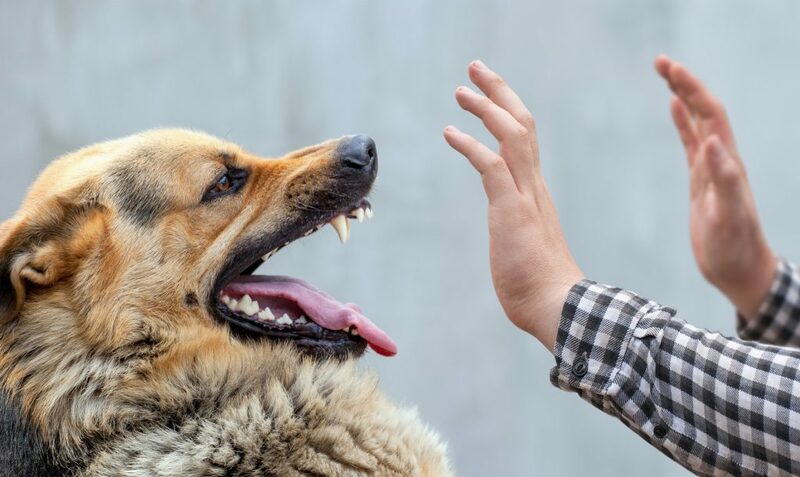 At the San Diego Injury Law Office, we understand the importance of identifying a potential dog bite claim in a timely manner. In order to provide you with the best offense, we are available to immediately review the facts of your claim and will provide you with a winning strategy to obtain the best results for your personal injury case. If you or a loved one have been a victim of a dog bite, time is of the essence, do not wait, contact us immediately at (619) 343-2992.